Nissan isn't missing a beat this year with the completely redesigned Nissan Maxima! Maxima's cutting-edge technology connects the modern driver from the car to the road like no other sports sedan before it. Loaded with a 8" multi-touch screen and 7" advanced driver assist display, Nissan is raising the bar in heads up information display. Look inside and find the fighter jet inspired interior surrounded by a luxurious, yet functional cockpit. But the real heart of the Maxima lies beneath the hood. The legendary Nissan V6 powerhouse utilizes an impressive 300HP from idle to redline! Borrowing performance technology from the iconic GT-R, more than 60% of the engine's components have been redesigned to make sure all the horsepower gets you down the road as quickly as possible. Prepare yourself for a G-induced grin! The all-new Nissan Maxima is available today at Quirk Nissan located in Quincy. With so many available colors, trims and styles on hand at Quirk Nissan the opportunity to make a Nissan Maxima your very own are endless. With the lowest Maxima lease offers and best prices, why not call today and schedule a test drive with one of our expert personnel, and see just how far the Maxima can take you! Excludes taxes, doc, acquisition, title, license and first payment. $2,999 initial down payment required at consummation. (INCLUDES $5,150 manufacturer's rebate and $500 bonus cash applied to $189/Month lease or $289 with $0 initial down. Offer valid only when financed through Nissan Motor Acceptance Corporation.) Subject to residency restrictions. 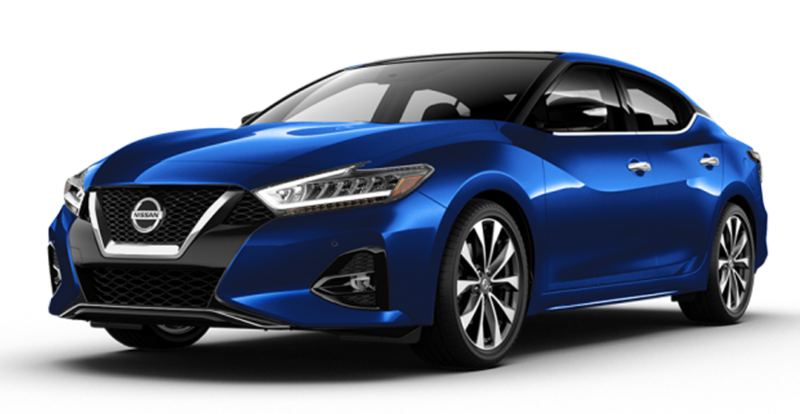 2018 Maxima S Lease model 16118 subject to availability to well-qualified lessees through Nissan Motor Acceptance Corporation. $34,935 MSRP incl. destination charge. Capitalized cost of $31,430. Monthly payments total $6,804 or $10,404 with $0 down at lease end, purchase for $14,672, plus purchase option fee up to $300, plus tax, or pay excess wear use plus $0.15 per mile for mileage over 12,000 miles per year. Lessee is responsible for maintenance and repairs. A disposition fee is due at termination of lease term. No security deposit required. Must take delivery from new dealer stock. Offer ends 4/30/2019.